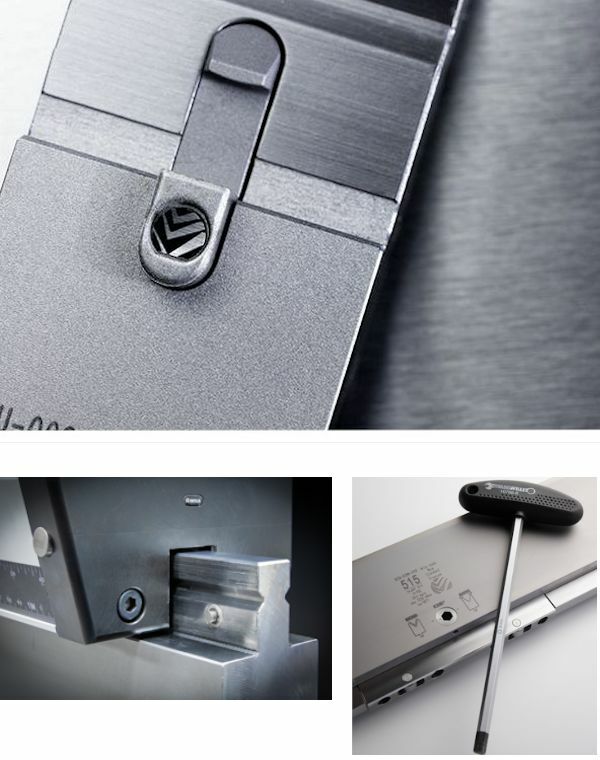 home » Press Brake Productivity » Knowledge Center » C. Tool Holders suitable for New Standardƒ top tools equipped with: Safety-Clicks®, Safety-Pins or E2M®. WILA takes no risks when it comes to safe working conditions. The Safety-Click®, Safety-pin, (HD) Safety-pin and E2M® (Easy to Move) features provide innovative and reliable safety features, which have been specifically developed for our New Standard Press Brake Tooling. The WILA Safety-Click® safety mechanism is a key element of our New Standard top tools. The Safety-Click® makes it possible to change tools vertically by simply clicking them in and out of the clamping system. This also increases the speed at which press brake tools are changed and reconfigured. In addition, this safety mechanism makes it possible to automatically change New Standard Tooling using a robot (ATC). The Safety-Click® is suitable for tools up to and including a weight of 12.5 kg. The WILA Easy to Move® (E2M) bearing system is a system designed for quick and safe handling of heavy top and bottom tools in and out of the Tool Holders. This improvement in change-related convenience considerably reduces configuration time and has a positive impact on productivity. New Standard top and bottom tools are equipped with special (pre-assembled) bearings, which allow you to move the tools laterally in a non-clamped state quickly and safely without using a lot of force. The Tool Holders should be equipped with a fall-out protection. Safety comes first. That is why a limit of 12.5 kg has been implemented for vertically loading and unloading of all press brake tools. Above this weight tools can only be changed horizontally. Top tools that weigh between 12.5 kg and 25 kg feature a standard safety-pin. Press brake tools that weigh between 25 kg and 100 kg are always equipped with our extra-strong HD safety-pins, which are suitable for heavy duty use.